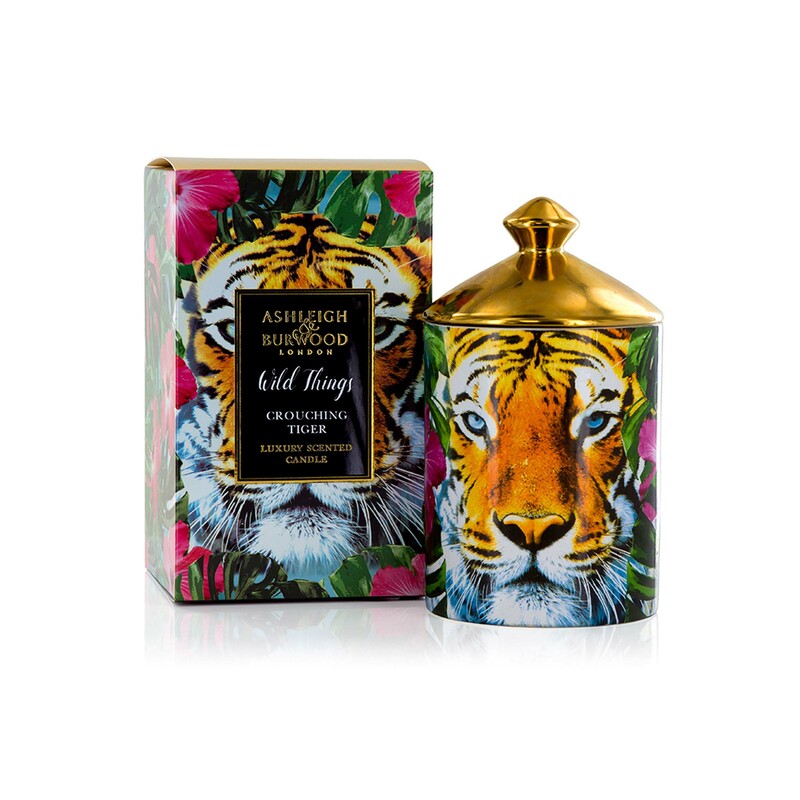 Go wild and fill the room with fragrance with this beautiful tiger candle. 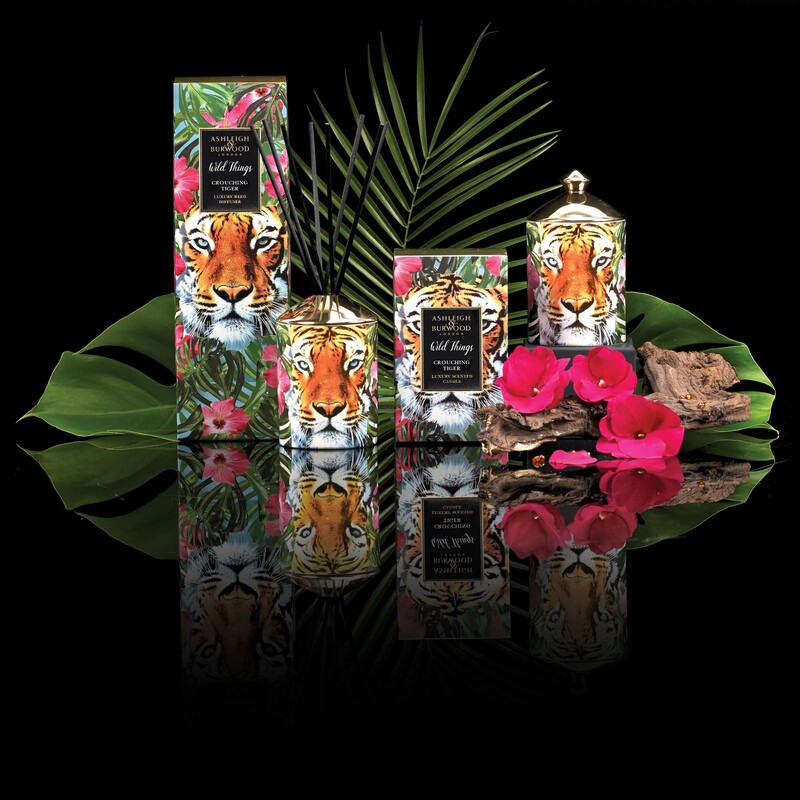 The outside of the candle is designed with a gorgeous illustration of a tiger within the leaves of the jungle. This makes the candle not only a charming scent but a stunning decorative piece. This high-quality fragrance has a rich citrus scent combined with amber which brings the jungle to the heart of your home with this luxurious candle. Burn time approximately 55 hours.